Encouraging the promotion and wide awareness of iLEAPS amongst science communities including publication of results. Demonstrating progress and achievements by defining and monitoring milestones and results. Encouraging national governments, regional and international funding agencies to support the implementation of iLEAPS and the achievement of it's goals by providing adequate support to the necessary national, regional and international research. Encouraging collaboration between iLEAPS and other International Programmes and Agencies concerned with the scientific study and assessment of global change. Dr. Blyth is a Senior Scientist at the Centre for Ecology and Hydrology, UK where she is the Head of Land Surface Processes group. Starting January 2011, she will be a member of the GEWEX Science Steering Group and is currently a member of GEWEX-GLASS representing Benchmarking and co-chair of IAHS Hydrometeorology Working Group. In the UK she is the science coordinator of JULES community model and represents hydrometeorology in the UK IAHS committee. She is the Work-Block leader on Feedbacks in the Global Water Cycle for WATCH (EU IP). Her scientific expertise is in land surface modelling, land-atmosphere interactions and arctic land surface processes. Dr. Vinayak Sinha is an Associate Professor and Head of the Department of Earth and Environmental Sciences at the Indian Institute of Science Education and Research Mohali, Punjab, India where he also leads a research group on Atmospheric Chemistry and Emissions. He has set up a state of the art atmospheric chemistry measurement facility in north western India (Mohali) to investigate biosphere-atmosphere-climate interactions. Dr. Sinha is known internationally for his contributions as an analytical and atmospheric chemist for ambient field studies on hydroxyl radical reactivity (OH reactivity) and volatile organic compounds within varied ecosystems (forest, urban, suburban) and research on agricultural crop fire emissions. His current research is focused on ambient chemical composition and climate interactions in South Asia, for improved understanding of emissions and atmospheric chemistry over the Indian subcontinent. He serves as Editor (subject area: atmospheric chemistry and physics) for the journal Earth System Science Data and is co-Lead of Working Group 1 of ACAM (Atmospheric Composition in the Asian Monsoon), an emerging SPARC/IGAC activity. In iLEAPS, Dr Sinha helps create links within the land-atmosphere-society community in South Asia and collaborations with the atmospheric chemistry community. Dr. Ding is professor of atmospheric environment and atmospheric physics at Nanjing University. He current serves as an assistant director of the Institute for Climate and Global Change Research (ICGCR) at Nanjing University. He worked in The Hong Kong Polytechnic University as Post-Doctoral Fellow and Research Fellow for many years. Dr. Ding has involved in data analysis for several international measurement programs, such as TRACE-P (TRAnsport and Chemical Evolution over the Pacific) and MOZAIC (Measurements of OZone, water vapour, carbon monoxide and nitrogen oxides by in-service Airbus airCraft) etc.. He has also coordinated several field experiments (mountain-top/aircraft measurements) for national level projects on ozone and acid rain in China. His scientific expertise is in analysis and simulation of chemical and physical processes related to tropospheric ozone in East Asia. Dr. Ding has published over 20 peer-reviewed papers on journals like Atmos. Chem. Phys., J. Geophys. Res., Geophys. Res. Letts., and Atmos. Environ. etc. Dr. Hiyama is a Professor at the Hydrospheric Atmospheric Research Center (HyARC) of Nagoya University, Japan. He got PhD in 1995 at the University of Tsukuba, Japan, and has worked as an Assistant Professor at the Institute for Hydrospheric-Atmospheric Sciences of Nagoya University, an Associate Professor at HyARC of Nagoya University (1995-2010), and an Associate Professor (2010-2014) at the Research Institute for Humanity and Nature (RIHN), Kyoto, Japan. He specializes in the fields of ecohydrology and hydrometeorology. Dr. Hiyama’s research interests include global warming and the human-nature dimension in Siberia, forest-permafrost-groundwater dynamics, and soil-vegetation-climate interactions in the Arctic circumpolar region. He has been a project leader of the research project (No. C-07) of RIHN, entitled “Global Warming and the Human-Nature Dimension in Siberia: Social Adaptation to the Changes of the Terrestrial Ecosystem, with an Emphasis on Water Environments”. In iLEAPS, Dr. Hiyama contributes to hydrological and nature-human system interface-related themes and acts as the chair of iLEAPS-Japan. Prof Lee acts as a Professor in Korea University in the field of atmospheric chemistry and land-atmosphere chemical interactions. She got her PhD in atmospheric chemistry at the University of Rhode Island, USA, in 1995, and has worked as visiting scholar at the Center for Atmospheric Sciences in Scripps Institution of Oceanography, University of California at San Diego, USA in 2006-2007. Her expertise includes processes involving ozone, secondary organic aerosol, biogenic volatile organics, aerosol aging processes, aerosol chemical characteristics, and chemical oceanography. In iLEAPS, Prof Lee is responsible for activities in Korea as the co-chair of the newly launched iLEAPS-Korea. Dr Archibald's research focuses on understanding the dynamics of savanna ecosystems. She is interested in fire ecology and vegetation dynamics and uses a range of approaches – from modelling, remote sensing, and field experiments – to address questions on the response of these systems to global change. 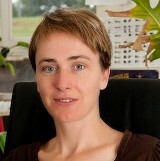 She has experience using eddy-covariance techniques to understand patterns of water, energy and carbon exchange and through the CarboAfrica project participates in the Fluxnet network of eddy-covariance sites. She is involved in inter-continental and global comparisons of vegetation structure and function and is an associate editor for the International Journal of Rangeland Management. Dr Archibald's current activities and research interests include developing a global theory of fire – a statistical description of global fire regimes; a biogeographic analysis of the distribution of the savanna biome; fire and the forest-savanna boundary – mechanisms controlling large-scale vegetation patterns in sub-Saharan Africa; fire-size frequency distributions and the effect of humans on fire regimes; environmental controls of tree and grass leaf display in semi-arid savanna systems; and ecosystem stress in response to temperature, UV radiation, water and nutrients in southern African systems. Silvano Fares is a senior scientist at Council for Agricultural Research and Economics - Research Centre for Forestry and Wood, Italy, where he is the Head of the laboratory of biometeorology. He was awarded his PhD in Forest Ecology at the University of Tuscia, Italy, in 2008, and has worked as a Postdoc at the University of California - Environmental Science and Policy Department, USA in 2008-2010. His expertise includes exchange processes involving ozone, biogenic volatile organics, methane and carbon between plant ecosystems and the atmosphere. 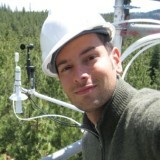 He has experience using leaf level instrumentation and eddy-covariance techniques to understand fluxes of greenhouse gases in forest ecosystems. He is the designated Italian coordinator of terrestrial ecosystems in the frame of the EU program ICOS (Integrated Carbon Observation System). In iLEAPS SSC, Dr Fares will bring in ecological expertise and his research interests including greenhouse gases and VOCs exchange in Mediterranean forest ecosystems, application of multi-layer models to explain plant atmosphere interactions under abiotic stress, and quantification of ecosystem services provided by urban vegetation in terms of carbon and pollutant sequestration. Dr Juhola is an assistant professor in urban environmental policy at the Department of Environmental Sciences at the University of Helsinki (FIN). She is also a visiting scholar at the Department of Real Estate, Planning and Geoinformatics at Aalto University (FIN) and an adjunct professor of social and public policy at the University of Jyväskylä (FIN). Dr Juhola holds a BA from the University of Sussex (UK) and a MSc and a PhD from the University of East Anglia (UK). Since obtaining her PhD, Sirkku has worked at the United Nations University - Institute of Advanced Studies (JPN), University of Jyväskylä (FIN) and Umeå University (SWE). Dr Juhola is the Deputy Chief Scientists of the Nordic Centre for Excellence on Nordic Strategic Adaptation (NORD-STAR) and a member of Finland’s Climate Panel that was set up in 2011 to advice the Finnish Government on climate policy. From 2013, she is also management committee member for Finland of two European Science Foundation Cost Actions; TUD Cost Action TU 1204 "People Friendly Cities in a Data Rich World" and the Targeted network "Gender, Science, Technology and Environment- genderSTE". Dr. Sebastian Leuzinger has worked on a large range of ecological topics both in marine and terrestrial environments using a variety of experimental and computational methods. His origin is in marine ecology, but he has mainly worked in terrestrial environments in the past ten years. 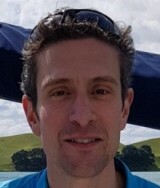 In iLEAPS, Dr Leuzinger will bring in the scientific community in New Zealand and continue the ecological expertise in the iLEAPS SSC after Francesco Loreto rotates off. Dr. Miguel Mahecha is a scientist at the Max Planck Institute fo Biogeochemistry, Germany, and Leader of the research group "Empirical Inference of the Earth System". Currently, his research focuses on the role of extreme climate events on ecosystem-atmosphere interactions, the generic derivation of indicators of change, and he is also interested in the question how biogeographical patterns influence land-atmosphere interactions. His expertise is on data analytic methods. He is coordinating the EU H2020 project “BACI: Detecting changes in essential ecosystem and biodiversity properties – towards a Biosphere Atmosphere Change Index: BACI” and the ESA initiative towards an “Earth System Data Cube”. He is a member of the “German Integrative Center for Biodiversity Research, iDiv” and strongly involved in the development of “PEACE: Platform for Ecological Analyses on Colombia Ecosystems”. 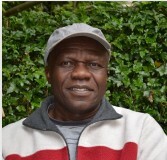 Dr. Odee is a Chief Research Scientist at the Kenya Forestry Research Institute (KEFRI), Nairobi, Kenya, where he leads the Forest Biotechnology and Ecosystems Group. He is also Visiting Research Fellow with the Evolution and Environmental Change Group at the NERC Centre for Ecology and Hydrology (CEH). He began his research career studying nitrogen-fixing systems in dryland acacia woodlands of Africa. He has since broadened his work to tropical forestry and agroforestry systems ranging from genes to ecosystems scale, focussing on the functions and processes underpinning the ecosystem goods and services for sustainable development. He is currently an Associate Editor for Ecosystems Services Journal. Dr. Odee contributes to the iLEAPS Early Career Scientist Workshop programme. He is leading a national initiative to establish Long-Term Socio-Ecological Research (LTSER) platforms in range of ecosystems, which should also enhance regional coverage for long-term observation points for land-atmosphere interaction studies. He will mobilise various stakeholders in East Africa to effectively engage in iLEAPS science goals and programmes through awareness creation, advocacy, strengthening links with the global land-atmosphere community, and networking for knowledge exchange and technical capacity building. Dr. Poulter is a Research Scientist in the Biospheric Sciences Laboratory in the Earth Science Division at the NASA Goddard Space Flight Center in Maryland, USA, and an Adjunct Associate Research Professor in the Department of Geographical Sciences at the University of Maryland. 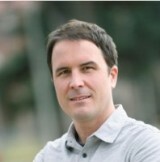 He received his PhD in 2005 from Duke University in North Carolina, USA, studying ecosystem dynamics of wetland systems. 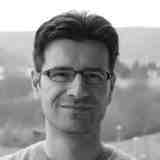 As a Marie Curie Fellow, he worked at the Potsdam Institute for Climate Impact Research (PIK, 2006-2009) and the Swiss Federal Research Institute WSL (2009-2011), and then worked as a Post-Doctoral Scientist at Le Laboratoire des sciences du climat et 'environnement (LSCE, 2011-2013). His research team applies remote sensing and dynamic global vegetation modeling to understand i) the role of secondary forests in the carbon cycle, ii) wetlands as the driver for renewed growth in atmospheric methane concentrations, and iii) climate mitigation and trade-offs from Bioenergy with Carbon Capture and Storage (BECCS). He was a Contributing Author to the Fifth Assessment Report of the Intergovernmental Panel on Climate Change, the US Carbon Cycle Science Program 2nd State of the Carbon Cycle Report (SOCCR-2), and to the Global Carbon Project carbon and methane budgets, and currently serves on the Editorial Boards for PLOS ONE and Global Ecology and Biogeography. Allison Steiner is an Associate Professor in the Department of Climate and Space Sciences and Engineering and the Department of Earth and Environmental Sciences at the University of Michigan, USA. Dr. Steiner's research explores the complex interactions of the biosphere and atmosphere with the goal of understanding the natural versus human influence on climate and atmospheric chemistry. She is currently an editor for Journal of Geophysical Research-Atmospheres, and serving on the National Research Council's committee on the Future of Atmospheric Chemistry Research. Dr. Wang specializes in atmospheric boundary layer physics and atmospheric environmental modeling studies. Her research focuses on physical and chemical impacts of urbanization on regional air pollution and land-atmospheric exchange for BVOCs emissions and reactive nitrogen deposition. Advanced air quality model (e.g., WRF-Chem) has been developed and used by her group to investigate the photochemical pollution characteristics, relationships between ozone and its precursors. Two monitoring sites have been set up in Guangzhou and Dinghu Mountain for dry deposition and wet deposition samples collection since 2007. She serves as an associate editor of Asia Pacific Journal of Atmospheric Science and the reviewer of AR5 for IPCC.